LORNA “TRUDY” VALENTINSEN passed away at the Chinook Regional Hospital on January 29, 2019, with her children by her side. She was born November 23, 1932, in Chipman, New Brunswick. 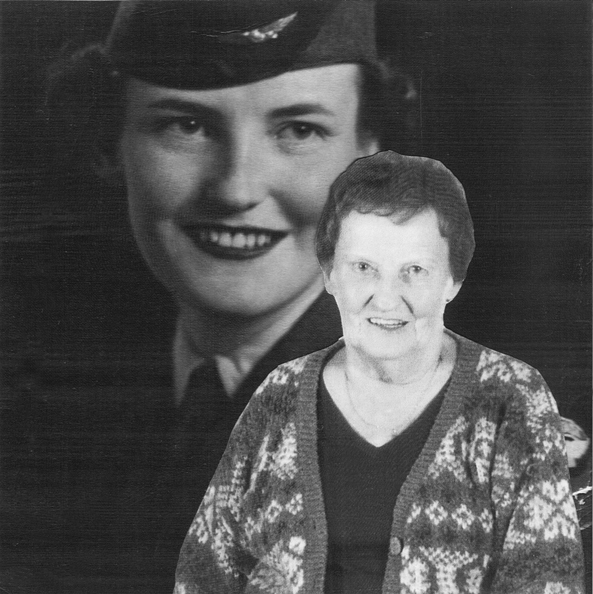 She joined the Royal Canadian Airforce in 1952 where she served proudly until 1955. After moving to Alberta she started her family. She is survived by her children, Jimm (Lori) Valentinsen, Tracy (Richard) Jankoviak, Michael (Cindy) Valentinsen and Clifford (Fiona) Valentinsen. She was especially proud of her six grandchildren and two great-grandchildren. It is with heavy hearts we sadly say goodbye to our mom and friend. She left us all with laughter in our hearts and knowing the full meaning of unconditional love. The sparkle in her eyes and her courage and strength to overcome all adversity throughout her life made her enduring to all the lives she touched. Besides her family and friends, her other loves were the Montreal Canadians, the Toronto Blue Jays, playing bingo and going to the casino. The family extends a special thank you to the caregivers and staff of the Chinook Regional Hospital. With the honoring of Lorna’s “Trudy’s” wishes a celebration of life will be announced at a later date.